March 12,2018 (Courtesy of the Canadian Press) – Workers at auto body shops deliberately damaged cars, installed used parts but billed for new ones, or invoiced for phantom repairs, according to an investigation by a Canadian insurer that is calling on government to help in curbing the problem. Aviva Canada found about half the total expenses submitted for repairs to crashed vehicles during its investigation in Ontario were bogus – an amount the company estimates adds up to hundreds of millions of dollars a year. In its investigation – results are to be released on Monday – Aviva attempted to simulate typical fender-bender situations involving private passenger cars by deliberately crashing 10 vehicles. Banning referral fees to third parties – for example a tow-truck driver who gets paid to take a vehicle to a specific facility – and making it illegal to ask consumers to sign blank work orders are other measures the government should take, Aviva said. 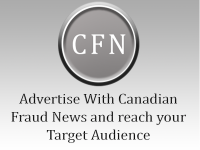 A spokeswoman for Ontario Finance Minister Charles Sousa said the government was making structural reforms to address fraud but did not comment on any of the ideas put forward by Aviva. The Aviva study comes just months ahead of a provincial election in Ontario, where high auto-insurance premiums have been a perennial hot topic for decades. A report previously commissioned by the province found the average policy for a vehicle in 2015 was $1,458 – double that in Quebec and almost 55 per cent higher than the Canadian average.